When the Holy Spirit was poured out on the Day of Pentecost three thousand souls received the word of God through Peter's preaching. These who gladly received the word were baptized, and added to the church. Then we read of four things these believers in Jesus were radically committed to: "And they continued steadfastly in the apostles' doctrine and fellowship, and in breaking of bread and in prayers" (Acts 2:42). Many well-meaning Bible believing Christians have endeavored to re-create the early church by applying this verse, and its four imperatives to their own group of Jesus-followers. A very important fact needs to be pointed out about these four imperatives which provided a framework for the church to be the church. For it is a fact that these four imperatives are four definite articles of the early church, and are the very articles that the Church has been framed around since Pentecost! The Greek New Testament gives us insight into exactly how the early church lived out its new life in the Spirit. Each of these four imperatives are preceded by the definite article "the". So, the verse should read, "And they continued steadfastly in THE apostles' doctrine and THE fellowship, and in THE breaking of bread and THE prayers." There are four definite articles that make up the superstructure of the Pentecostal Church, which is another way of saying the Orthodox Church, the Church which was born on the Day of Pentecost. Firstly, the Jesus-followers were to be devoted to growing in the knowledge of those teachings that the Apostles were articulating, which they had received from Jesus and the Holy Spirit. All other teachings must be scrutinized in the light of THE Apostles' doctrine. There was a definite body of truth, that is, Apostolic teaching, that the new believers were catechized in. Secondly, these Pentecostal Christians were to continually be devoted to THE fellowship (koinonia, Greek), that is the communal life of the body of Christ, the Church. This would include most especially the gathering together for worship, and extend to having all things in common so that not one member would be without their needs met. Thirdly, these early Christians were to be steadfastly participating in THE 'breaking of bread', that is partaking of the Holy Eucharist. Breaking of bread is a New Testament idiom for the Eucharist. They were to never "forsake the assembling of themselves together" to commune with God via the bread and the cup of blessing. Last of the four, these faithful disciples were to be wholly devoted to THE prayers. Not just a spontaneous prayer meeting where folks take turns praying extemporaneously, but entering into THE prayers of the Church which had come to them from the synagogues and the temple. This very first group of Christians functioned in what could be called a Christian synagogue where they would offer the same prayers as their Jewish brothers, but with a Christified understanding of the "law of Moses, and the prophets, and the Psalms." These four definite articles should be the framework of each and every local church so that each church is truly complete, not lacking anything. To feed the flock is to provide spiritual food, to declare all the counsel of God. The pastor must "study diligently" to show himself approved unto God. The pastor must be a "workmen that needs not to be ashamed, rightly dividing the word of truth" (2 Timothy 2:15). So the teaching ministry of the pastor requires diligent study. The pastor must approach his study of the Word as a workmen, as one who hones his skill of handling the word of God, of rightly interpreting the scriptures (Hebrews 5:10-12; 1 Corinthians 4:1,2; 2 Corinthians 2:17; 2 Corinthians 4:1,2). To lead the flock is to provide spiritual direction, firstly through the teaching ministry of the Word of God, and secondly as a priest for the flock as a whole and for individuals, to help them in their spiritual life. The entire fellowship is directed through the teaching ministry of the Word of God and the corporate spiritual practices that are set in place for building up of the entire body of Christ. The individual member is directed through an on-going relationship of confession, repentance, and prayer (James 5:16-20; 1 John 1:4-10). To protect the flock is to identify false teachers that may arise from within the fellowship and the "grievous wolves" that would enter in (from the outside) among us, "not sparing the flock". The pastor must (1 Timothy 1:3-8) (1 Timothy 6:3-10) (2 Timothy 4:1-4) (2 Timothy 2:16-18) (Titus 3:9-11)protect his people from false doctrine. The pastor must pray. He must keep his own "rule of prayer" diligently, taking heed to himself. Being careful to save himself so that others may be saved (1 Timothy 4:13-16). The pastor must intercede in prayer for each member of the fellowship, doing spiritual combat for the salvation of each member. The pastor must "do the work of an evangelist" (2 Timothy 4:5), spreading the seeds of the gospel everywhere he goes. And if God wills, he may be graced with the healing and miracle ministry of Philip the Evangelist (Acts 8:5-13; Acts 21:8). This is our prayer. "Where are the men sent from God?" These two passages of Scripture, Galatians 5:22 – 6:2 and Luke 6:17 – 23, are simply awesome in their power to illuminate our understanding concerning our struggle with the passions and our victorious transformation of them through a life in the Spirit; and how Jesus wants to heal us of our spiritual sicknesses, those very passions, addictions, and crippling infirmities, that imprison us. By walking in the Spirit we crucify the passions and evil desires, and they are transformed by the life of the Spirit into the fruit of the Spirit in all goodness and righteousness and truth (Ephesians 5:9). The healing ministry of Jesus is a pictograph revealing to us a parallel between the sicknesses and physical maladies that Jesus healed, and the spiritual sicknesses, that is our passions in us, that are in need of healing. The sicknesses and demonic vexations that Jesus healed are metaphors for the healing of our passions, evil desires, and addictions. Have you ever noticed how we can be blind, in the dark because our spiritual eyes have cataracts or worse? Have you noticed how we can be deaf, our ears can’t hear the voice of God because of damaged eardrums from listening to the demonic frequencies of the world’s lies? Have you ever noticed how we want to do good, but our will is weak, crippled, like a withered hand? Have you ever noticed how we seem to be controlled by unseen forces? Have you ever noticed how we can be thrown into a fit of rage like someone with epilepsy? Have you ever noticed how we sense the wounds in our soul are bleeding, our life’s energy is seeping out of us? Have you ever felt paralyzed, unable to move because of bitterness or shame? Have you ever felt dead inside, lifeless, unfeeling, uncaring, unable to muster compassion; you are like a dead man walking? Jesus will heal you of all these spiritual diseases and conditions if you will cooperate with Him. As we become doers of Christ’s words we enter into communion with the Holy Trinity (John 14:15-26) resulting in our sanctification and deification. We are healed, that is, saved from our sins as we become partakers of God’s divine nature (2 Peter 1:2-4). “How to read the Bible” is an important question that should be asked by all serious disciples of Jesus. There truly is an “art and science” to reading the Scriptures. It is a science because there are certain laws that govern its interpretation. And there is an art to reading the Scriptures because the more you practice, the better you can do it. Like any book within the canon of Scripture, we must concern ourselves with “context”. Who is writing to whom, when, where, and why are they writing, what is the historical setting that the book is written in, etc. 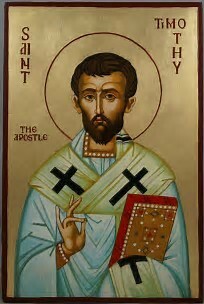 First Timothy is a pastoral epistle of the Apostle Paul written to his son “in the Faith”, Timothy, who was the Bishop of Ephesus. (There are three pastoral epistles of the Apostle Paul: 1 and 2 Timothy, and Titus.) These three pastoral epistles are descriptive of “the institutional aspects of the church.”But always keep in mind that the "Church" is not an institution, but a mystical reality that has institutions for earthly order. Chapter 1: Paul, writing to Timothy (Bishop of the church at Ephesus), establishes the profound importance and significance of “sound doctrine”, aka. “The Faith” (1:2). “The Faith” springs from “God the Father, and Jesus Christ our Lord” (1:2). Paul warns Timothy to not “give heed” to teachings that generate “questioning” (doubting), and controversies. The teaching focus of the Church should be “sound doctrine" (1:10) which is based upon “The Faith”, which edifies the church members in a life of charity, purity of heart, and a good conscience (1:4, 5). As in Paul and Timothy’s day, there are today those people “desiring to be teachers” who have swerved (wandered) from sound doctrine unto “vain jangling”, who mishandle the word of God. Paul refers to “sound doctrine” in verse 10 which can be equated with “Holy Tradition” (2 Thessalonians 2:15; 3:6), and with “The Faith” (Jude 3). The question to ask oneself is, “What is the “Faith” that Paul is speaking of, and “What are the “traditions” that Paul is speaking of?” The details of the “sound doctrine” are not spelled out in the text definitively, but it is understood that the Bishops have knowledge of the “sound doctrine.” The church inculcates the fullness of the Faith, even though the Bible does not give the details. Paul closes out his introductory remarks to Timothy with a Trinitarian doxology (1:17), and then makes it abundantly clear to Timothy that he is at war with false doctrine, and those false teachers who propagate unsound doctrine. Chapter 2: Paul uses his introduction on the preeminence of sound doctrine as a spring board into the activities of the “institutional church” (1 Timothy 3:15). Jesus had said, “I will build my church”, and Paul revealed by the Spirit that the Church would have foundations, that is, the church would be “built upon the apostles and prophets, Jesus Christ himself being the chief corner stone” (Ephesians 2:20). In verses 1 – 8 Paul gives God’s design for public worship, “First of all, supplications, prayers, intercessions, and giving of thanks, be made…”: that all men “be saved, and come to the knowledge of the truth” (2:4). God desires that the entire church pray in one accord (2:8). Verses 9-15 continue the theme of public worship with directions on modest apparel, and how women are to relate to their husbands in the context of the church. A question you may want to ask is, “Do we as a church pray together in one accord for the needs of the world?”In the Orthodox Church this is definitely a fact revealed in "the Great Litany." Over 40 years visiting Evangelical and/or Charismatic churches, and I have never witnessed intercession in one accord for the world and its needs. If church is invented "on the fly" it departs from the divine order prescribed by Holy Scripture. If you are an Evangelical pastor you may want to borrow "the Great Litany" for your congregation to pray. Chapter 3: Paul reveals that the basic form of church government is founded in “offices” of ordained ministry, that is, the “offices” of bishop (3:1-7), and deacon (3:8-13). A bishop (episkopos = overseer in Greek) is to be the recognized (ordained) pastor/teacher/priest of the local church, meaning the church that resides in a particular city or countryside. FYI, each local church possesses the fullness of Christ. This is what is meant by the word “catholic” as found in the Nicene Creed. Catholic means universal in the sense that each local church everywhere, and for all time is complete in Christ, and possesses the fullness of truth as Jesus is the head of the church, which is his body (Ephesians 1:19-22). This hierarchy of church leadership is the very thing that leads the believers in a community (like Ephesus) to be in divine order. The gathering of the believers in a locale is “the house of God”, “the church of the living God”, which is “the pillar and ground of the truth” (3:15). The Church is catholic when it possesses the fullness of truth. This usage of the term “catholic” has no connection with the Roman Catholic Church. An important sidebar here is the topic of “truth.” The church is to be the foundation of “the truth.” And those who stand in the “office’ of “bishop” are responsible to "rightly divide the word of truth” (2 Timothy 2:15). In verse 16 of chapter 3 Paul cascades from the churches responsibility to be the “pillar and ground of the truth”, into what the truth is, by quoting part of an ancient Christian credal hymn that clearly expresses the divinity of Jesus. Other such creeds are found in 1 Timothy 6:15; 2 Timothy 2:11-13; Ephesians 1:3-14; Ephesians 5:14; Philippians 2:6-11; and Colossians 1:15-20. Creeds have been a part of the Church from the very beginning. The Apostles Creed was an early baptismal creed. The Nicene Creed has been confessed in churches weekly since the 4th century. A question you may ask is, ’Should a church have credal hymns whereby the saints can confess their mutual faith?” For my Evangelical friends, I think the practice of the Ancient Church confessing the Faith in unison via a creed, for 2000 years, is proof enough of its proper status as integral to divine worship. Chapter 4: Here, in verses 1-10, Paul challenges Timothy (and all future bishops/pastors-priests/deacons) to do spiritual battle for the truth against the heretics and their seductive doctrines. A question you may ask is, “Is it biblical to reduce the Christian Faith to “Jesus only” with no regard for “sound doctrine”, the essentials of “The Faith”, or “knowledge of the truth?” The answer should be self-evident. The historical context in which Paul is writing to Timothy sees the spiritual landscape full of sects teaching a myriad of heresies, of which Timothy was responsible to expose, and to withstand with sound doctrine. He was to war for the truth (1:18) against “seducing spirits, and doctrines of devils.” These first century sects propagated Greek Gnosticism, and Jewish myths that communicated non-Christian views of God, Christ, humanity, and the world (cosmos). In verses 17-25 Paul, again in the context of church polity, instructs Timothy in what way the members are to relate to those in leadership positions (those who would have had hands laid on them in ordination – Acts 14:23). Elders (Presbuteros in Greek): From the Greek comes the word presbytery, which means elders. Historically, presbyter was shortened to “prest” which gave way to the word “priest”. Originally, the local church had one bishop supported by numerous deacons. As a local church would grow in numbers, and the need for ministers grew, the bishop would ordain elders (priests) who would represent the bishop to the people. Church government has borne this form since the beginning; Bishop, priests (elders), deacons, and the people (laity), which share the priesthood with the elders/priests (1 Peter 2:5, 9). Paul guides that elders who rule well should be given double honour, “especially those who labor in the word and doctrine”; the material needs of the elders should be taken care of by the congregation (1 Corinthians 9:7-14); there are procedures in place for confronting elders; and ordination of elders should be a cautious process. In verses 13 – 16 Paul magnifies the divinity of Jesus again calling Him, “Lord”, and revealing that at His second coming He will be revealed as “the King of kings, and Lord of lords.” It should be noted that God (the Father) is distinct from the person of Jesus. And finally, Paul, in verses 20 and 21, reiterates that it is “The Faith” (6:21) that all teachings in the church should be scrutinized in light of. “The Faith” is what was committed to Timothy’s trust, and it is “The Faith” by which Timothy should judge any and all profane doctrines, vain babblings, and pseudo-science such as evolutionary theory. The KJV versus the NIV (and other modern translations): Please take into consideration when studying the Bible in the English language that all Bible translations are not created equal. 1 Timothy is a classic example of the distortion that can take place when a translation is done poorly, or simply made to read easily with little knowledge of historical context, or done by people with an evil agenda. Since the late 1970’s The NIV has replaced the KJV as the Bible of choice in Bible-believing churches. My observation is that this reality has led to a dumbing down of the American church. I would strongly recommend that my brothers and sisters would begin to labor in the KJV or the RSV for both personal study, and teaching ministry; while using the NIV as a commentary for added insight. The original NIV (1978) is more reliable than the newer NIV's. Maranatha comes to us from the language of Jesus, Aramaic. It is a two-word Aramaic formula that was transliterated into Greek as Maranatha and which was not translated into English. You can find Maranatha used by St. Paul in his first letter to the Corinthians 16:22. The word can have a double meaning depending on how the greek word Maranatha is parsed. If we read it as Maran - atha it means "Our Lord has come" and is thus used as a creedal statement, a statement of faith as is written in 1 Corinthians 12:3 and Romans 10:9 - Jesus is Lord. If we read it as Marana - tha it reads as a command, "Lord, Come". Or as it is written in Revelation 22:20 in response to Jesus promise to come quickly, "Even so, Come, Lord Jesus". From this understanding we see that the word was meant to have a double meaning; "The Lord has come" and "Come, Lord Jesus" or "The Lord is Coming Again". In the early church "Maranatha" was a watchword used as a greeting to remind one another that the Lord has come, and that the Lord is coming again. Simultaneously "Maranatha" is a greeting and a prayer. "Maranatha" is a word of encouragement and a bold declaration of triumphant faith and eternal hope - Jesus is coming! In the early days of Christianity believers lived under adverse conditions of persecution, even martyrdom. The believer’s faith was energized by the hope of the coming again of Jesus. They were reminded that the Lord Jesus would be returning from heaven to establish His kingdom forever. From this Gospel truth the believers drew great comfort. Today, we live on the brink of the revealing of the Antichrist, the son of perdition, that Wicked one whose coming is after the working of Satan with all power and signs and lying wonders, whose use of super deceptions will bring a great delusion upon the earth that even the Elect could believe the lie and fall away. Already many antichrists roam the globe spawning philosophies and religions contrary to the Truth of Jesus the Messiah and Savior of the world. In the face of these ominous end time realities we take heart in the knowledge of Jesus's promises to come again to judge the living and the dead and to create a new heavens and a new earth wherein dwells righteousness, and peace forever. Shout Maranatha! Let us reclaim this mighty greeting and prayer proclamation - MARANATHA - May all the believers of Greensburg and the surrounding countryside have this powerful word upon their lips. MARANATHA! MARANATHA! MARANATHA! Four times throughout the Divine Liturgy we prayerfully sing, "Calling to remembrance our all-holy, immaculate, most blessed, and glorious Lady Theotokos, and ever-virgin Mary, with all the saints, let us commend ourselves and each other and all our life unto Christ, our God." FOUR TIMES! 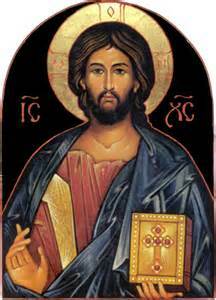 We are called four times throughout the Divine Liturgy to commend ourselves...to Christ our God. What does this mean? The word commend means "to entrust; to commit to one's care." So each and every time we come to this prayer in the Divine Liturgy we are to renew afresh our trust in Jesus Christ our God. At this point, all four times, we consciously and concretely commit our life to Christ in a personal way. But we not only entrust ourselves to Christ as an individual, but as the prayer more fully reads, "We commend ourselves and each other and all our life unto Christ our God." This means that besides committing our own life to Christ, we as the body of Christ commit "our" lives, corporately, to Jesus Christ our God. And thirdly we are to commend "all our life unto Christ, our God. "; our talents, our treasures, our time, our families, our work, every aspect of our lives we commit to Jesus Christ our God. We, remembering Mary's example of humility, faith, and obedience, as well as the lives of all the saints, we follow their example by giving our whole life to Christ. Four times during the Divine Liturgy we are challenged to dedicate and rededicate our entire existence to Jesus Christ our God. + The Psalms are a golden thread through Ancient Christian Worship. + In the Ancient Tradition the book of Psalms is to be prayed through weekly. 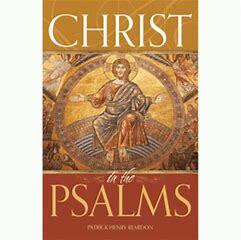 + The Psalms express in divinely inspired language the innermost thoughts, even fears, of humankind. They speak of our intense sorrow over sin; of the horror of loneliness; despair soothed by God's love. And they point to our ultimate liberation through Jesus Christ. + They should be a significant part of our prayer life. + In Acts 4:24-30 we see the early church praying Psalm 2. + In Acts 1:20 we see the early Christians finding a replacement for the Apostles appealing to Psalm 69:25. + In Acts 2:25-35 we see that the first sermon on the Day of Pentecost was Peter giving an exegesis of two Psalms; Psalm 16:8-10 and Psalm 110. + James 5:13, Ephesians 5:18,19, and Colossians 3:16 show us that the early church were constantly enjoining the Psalms in their worship and prayer. The Ancient Tradition is that Psalm 91 is prayed daily, usually at noontime to battle the "noontime devil", or at bedtime to counter the "terror by night". The reality is that the Christian is constantly engaged in spiritual combat, and the Psalms are arrows in our quiver which we let fly throughout the day and night to destroy the works of the devil. Psalm 91 has always ranked among the more favorite psalms among Christians and interestingly is the opening Psalm of the funeral service of the Orthodox Church. Verse 1) "Where do you dwell/live?" "On what does your mind dwell?" Have you made God your dwelling place? Do you live with God moment-by-moment? Jesus said, "If a man love me, he will keep my words: and my Father will love him, and we will come unto him, and make our abode with him. (John 14:23) Later in this Psalm God says, "Because he has set his love upon me..."(v. 14); Have you set your love upon God; By hearing, keeping, and doing his commands/words? Jesus said the kingdom of God is within you and when you pray enter into your closet or secret place. By doing these things we are abiding, lodging, taking up residence with God in the Love of the Holy Trinity, we enter into His divine protection; under the shadow of the Almighty. This shadow is God's glory that we can experience by entering into the holy of holies(Hebrews 10:19) through worship and prayer and communion, both moment-to-moment and in the Eucharist.(Heb.10:24,25). Verse 2) "I will say of the Lord..." This is a bold confession of faith that we can pray daily. Our faith is in the Lord(Hebrews 13:5,6; Ps. 107:2) A Refuge and a fortress are where we run into for protection when under attack. Daily we pray the Psalms and actualize the promises of God's divine protection. We trust in God and in His ways to battle the enemy. Verse 3,4) Two ways in which the enemy attempts to destroy us; 1)through deceptive traps, and 2) through the diseases of sin. A fowler is a trapper of birds(Psalm 124:6-8); the snares are hidden by the enemy, they are not obvious. In the very places we normally travel he schemes to trap us. A fowler will especially try to trap young birds, then raise them by hand. Once tamed, the fowler will confine the birds to hidden cages who will attract their fellow birds to visit them. The birds coming to join them are shot with arrows by hunters lying in wait. Let us not be traped, nor be used to trap others. The pestilence pictures the contagion of sin. Sin-sick people surround us, we are one of them, the plague of the heart is common to man, yet we can be delivered from this plague even when it abounds all around us in others. Let us find healing for ourselves, and build our immune systems so that we can effectively fend off the sicknesses of those we interact with. Verse 5,6) God wants us to be free of the fear that comes from knowing of the spiritual combat we are engaged in. We are not to be afraid of evil men or devils. We are not to fear the "terror by night" nor "the arrow that flies by day" nor "the pestilence that walks in darkness" nor "the noonday devil". The "terror by night" are the robbers, the demons, who come to steal, kill, and destroy"(John 10:10). These thieves will come at night, so let us say our prayers just before we lay down to sleep(Compline - Ps 51, Ps 70, Ps 143, Ps 91). The arrow that flies by day we note are descibed in Ephesians 6:10-18 are the fiery darts of "the wicked one", thoughts that enter our minds from without. We can and must "quench" these fiery darts with the "shield of Faith". And we can accomplish this by taking unto ourselves the "whole armour of God". Truth, living righteously, our feet firmly standing in the Gospel, the shield of faith, our minds protected by the helmet of salvation, and the "sword of the Spirit, which is the (spoken)word of God; praying always...". Note that our prayers are to be the "spoken word of God, which becomes a sword against the enemy who is attacking us. The pestilence that walks(stalks us) in darkness may be the very "terror by night" we described earlier. It is written, "Your adversary, the devil, walks about as a roaring lion, seeking whom he may devour - whom resist steadfast". (1 Peter 5:8) Often we experience a "dark night of the soul" where we face terrible demons of fear, lonliness, regret, shame. Let us battle these temptations with the Psalms which address each one of these condemnations of the devil. Sins can plague us in the night, they stalk us and we must fend them off with the sword of the Spirit which is the Word of God. "The destruction that wasteth at noonday" is known in the Septuagint translation of the Bible as "the Noonday devil". This noonday devil is common to man, and it is at noontime that many people experience a spiritual weariness, a despondency(known as ascedia by the monastics). A mysterious dejection settles into the minds of mankind. This destruction that comes is likened to the pestilential hot wind that is experienced in the Eastern countries that begins about 8 a.m. and becomes overwhelming at noontime, suffocating, burning, and making people weakened to the point they cannot continue. The Arabs call this wind, "the poison winds". This is why the Church has always called Christians to a time of prayer at noontime(known as the hour). Verse 7,8) You can be protected from all the effects of the demonic attacks which were just described; the temptations are common to man, but deliverance is for the "blessed man", "the man who dwells in the secret place of the Most High"; thousands will fall all around, but not you. Verse 9-12) We learn here that we are protected from ultimate evil, from the plague of death. Just like the death angel passed by the homes with the blood of the Lamb on the doorposts(Exodus 12), so will death pass us by in the Resurrection. But do not confuse "bad things" happening to us in this world with "evil things". God takes all things, good and bad, and works them together for our good if we love Him(Romans 8:28-39). And we are instructed that we have angelic help in our spiritual battles. Angels are "ministering spirits, sent forth to minister for those who will be heirs of salvation(Heb. 1:14). Angels are assisting us always in our daily battles, even maneuvering us around satanic obstacles that would have tripped us up had they, the angels, not intervened. And this without our knowledge. Yet we pray Psalm 91 and other Psalms(Ps 34:7; Ps 103:20,21) which call on the angels to assist us. Verse 13) We are to take authority over the demons, and enforce the victory of Christ over Satan(Luke 10:17-20). We are to "tread upon serpents and scorpions, and over all the power of the enemy(Luke 10:19)". To tread upon these demons means that we put them under our feet in Christ(Eph. 1:19-23). We proclaim the victory that Christ has won over the devil and his works(1 John 3:8; Acts 10:38; 2 Cor. 2:14; Col. 2:13-15; 1 John 4:4; 1 John 5:4,5; Rom. 8:37-39). Note the two types of evils described here in verse 13; the lion and the adder; then the young lion and the dragon. The lion is an open and violent force, like the attacks that come upon us in trials and dark circumstances. They roar loudly, causing fear; we sense the impending doom. The adder(asp) is a snake in the grass, you don't see it, but it is very dangerous to our souls. These snakes try to creep up on us unaware, but the moment we spot them we are to trample them underfoot with all the forces of heaven at our disposal: the Name of Jesus, the Word of God, the virtues, and prayer. The young lion is a lion at the peak of his powers; the dragon is the most dreaded of serpents: Even these powerful demons can be trampled under your feet by the power of the Cross. Verse 14-16) In these three verses we hear God Himself speaking of what He will do for the man who "loves God", who "knows my Name". God promises to "answer" you when you call upon him, to be with you "in trouble", to "deliver you, and to honour you. And He will satisfy you with the perfect "length of days". Whatever God has planned for you is the perfect length of life for you, and most importantly it will end with God showing you His salvation. In "The Great Litany" of "The Divine Liturgy" we pray, "For a Christian ending to our life, painless, blameless, and for a good defense before the dread judgment seat of Christ. "(2 Cor. 5:8-10; Rom. 14:9-13) What is meant by a "painless death"? It is not teaching us to pray that we not experience physical pain while dying. It is teaching us to pray that we not experience spiritual pain at the time of our death. A painless death is when we die and feel no pain because we are free of attachments to this world. Death is painful for those people who are attached to the things of this earth(Matthew 16:24-27; Mark 4:19), they love the things of this world(1 John 2:15-17). When a person dies and is still attached to the things of this world it is a painful death. Let us pray that God will help us to become detached from this world and be prepared for the time of our departure(Phil. 1:21-25; 2 Tim. 4:6-8). Son of Man > Jesus is the Son Man. Interestingly, Jesus is the only one who called himself the "Son of Man". 81 times in the 4 Gospels Jesus is the "Son of Man". And only once does another person make a reference to Jesus calling himself the "Son of Man". It is a title that Jesus claimed for Himself because of its amazingly rich prophetic meaning. From Genesis 3:15 we receive the idea of Jesus becoming the Son of Man when God promises that the "Seed of the Woman" will crush the head of the serpent, Satan. "Having received this promise, the human race awaited the seed of the woman, the Son of the woman; that is, the "Son of Man". It is therefore understood that the term was meant to indicate that the future Savior, the One who would crush the head of the serpent, would be the son of the woman who conceived without a male; that is, the son of one human being. This is saying that a "Man", or more to the point, "The Man" will come sometime in the future born of a Woman without the seed of a man, born of a virgin.This promise, prophecy, of a Man, or rather, "The Son Of Man" coming as a Savior and a Redeemer, became known as the "Expectation of the Nations". The Son of Man would be the Messiah of the whole world. Jesus, took this title, "Son of Man" and made it His primary identity. He was the "Expectation of the Nations". He was the One that God was speaking of that would be born of "The Virgin". Daniel the Prophet speaks of the Son of Man coming with clouds of heaven to the Ancient of days(Father God) and being given an eternal kingdom(7:13,14). And Daniel reveals that the fourth "man" in the fire with the "three Hebrew Boys" had the form like the "Son of God"(3:25). St John in the book of Revelation reveals that the "Alpha and the Omega", Jesus, is the "Son of Man"(Rev. 1:12-18).Each time Jesus called Himself the "Son of man" he was saying "I am the man you've been looking for". Psalm 80:17 says, "Let Thy right hand be upon the man of Thy right hand, upon the Son of Man...". Christ > Jesus is the Christ. Christ is from the Greek and means the Anointed One. Messiah is from the Hebrew and means the same thing, "The Anointed One". Christ and Messiah both refer to Jesus and to the fact that He is the promised "Anointed One" that the Old Testament Law and Prophets foretold would come into the world, born of "The Virgin". Son of God > Peter then reveals in his confession of faith that Jesus is not only the Christ, but that He, Jesus, is the "Son of the living God". Jesus is the Son of God. Peter reveals that the promised Messiah was to be divine. In Matthew 3:13-17(Christ's Baptism) and Matthew 17:1-8(Christ's Transfiguration) we see Jesus called by God from heaven, "My beloved Son". Note that in these two events that the "Trinity" is revealed, Father, Son, and Holy Spirit. Jesus was given His Name by God through the angel Gabriel, Matthew 1:21-25. Jesus means Savior. And Matthew also says that this Virgin-born child shall be called Emmanuel which means "God with us". "What do you think of Christ? Whose son is he?" Son of David > The term, "Son of David" was a title for the Messiah (Mark 12:35-37; Matthew 12:22,23). Jesus is called the "Son of David" 14 times in the New Testament. The angel Gabriel announced to Mary that Jesus, among many things, would be given "the throne of David...and of His kingdom there shall be no end"(Luke 1:31-33; Psalm 132:11). And since Jesus is the "Son of David" he is also the "King of the Jews"(Matthew 2:2; 27:11). Lord > Jesus asks the Pharisees, "What do you think of Christ, whose son is he?" They answer, The son of David. Jesus then asks them, How can David call the son of David(the Messiah) Lord? And Jesus quotes Psalm 110:1, "The Lord said unto my Lord, Sit on my right hand until I make your enemies your footstool." Jesus then asks, If David calls him(the Son of David) Lord, how is He his son?" Jesus is telling them that the "Son of David"(the Messiah) is the Lord(God). Jesus is not only David's descendant, but He is also his pre-existing Lord. Jesus is also revealing that within God there is a plurality of persons; "The Lord said unto my Lord, sit at my right hand..." Take note, God is One, but God is not a monad, a single unit. In Genesis we read, "In the beginning God created the heavens and the earth(Genesis 1:1). Then in verse 26 we read, "And God said "Let us make man in our own image, after our own likeness." So we see that God(Elohim) speaks of himself in the plural. Also in Deuteronomy 6:4 we read, "Hear O Israel, the Lord our God is one Lord..." The oneness spoken of here is speaking of a compound unity(Achad-Hebrew). The Lord is not "one" in number(what would be the point in that assertion), but the Lord is "one" in unity. God is One Essence existing in three persons; Father, Son, Holy Spirit. The fact that Messiah should be both "God" and yet "sent by God" (as the Old Testament testifies) is a mystery unraveled in the revelation of the "Trinity". God is "One" existing in three persons. I AM > Jesus identifies Himself as the "I AM". "I AM" is the name of God given to Moses by God Himself when Moses asked him, "Who should I say sent me?" (Exodus 3:14). To the Jews Jesus revealed that He knew Abraham and then said to them, "Before Abraham was, I AM"(John 8:58). Jesus made many "I AM" statements. I AM the Way, the Truth, and the Life"; "I AM the Good Shepherd"; "I AM the Light of the world"; "I AM the Door"; "I AM the True Vine"; "I AM the Resurrection and the Life"; "I AM the Alpha and the Omega". Jesus introduces us to the 'New Testament' during the Last Supper the evening before his crucifixion. We read Luke's account found in the gospel of Luke 22:19-20, "And he took bread, and gave thanks, and brake it, and gave unto them, saying, This is my body which is given for you; this do in remembrance of me. Likewise also the cup after supper, saying, This cup is the new testament in my blood, which is shed for you." Then again, in the gospel of Matthew 26:26-28 we read Matthew's account of the Last Supper, "And as they were eating, Jesus took bread, and blessed it, and brake it, and gave it to the disciples, and said, Take, eat; this is my body. And he took the cup, and gave thanks, and gave it to them, saying, Drink ye all of it; For this is my blood of the new testament, which is shed for many for the remission of sins." What we have revealed to us in these Scriptures is the institution of the Eucharist (Eucharistia in Greek, aka the Thanksgiving). We refer to this as Holy Communion, and it is known in the Orthodox Church as the Mystical Supper. The Apostle Paul teaches us in his first letter to the Corinthians, 10:16, "The cup of blessing which we bless, is it not the communion of the blood of Christ? The bread which we break, is it not the communion of the body of Christ?" Paul adds to this revelation of Holy Communion with Christ Jesus saying, "For I have received of the Lord that which also I delivered unto you. That the Lord Jesus the same night in which he was betrayed took bread: And when he had given thanks, he brake it, and said, Take eat: this is my body, which is broken for you: this do in remembrance of me. After the same manner also he took the cup, when he had supped saying, This cup is the new testament in my blood: this do ye, as oft as ye drink it, in remembrance of me. For as often as ye eat this bread, and drink this cup, ye do shew the Lord's death till he come" (11:23-26). The point I would like to make is that when Jesus introduces the reality of the new testament he does not say, "read this" or "study this", but he says "do this"! The New Testament is the eating of Christ's body, and the drinking of his blood. The New Testament is the Eucharist. Christian worship is to be centered upon the very command of Jesus himself when he said, "This do in remembrance of me." The New Testament was a sacrament (mystery) long before it ever started to become a document, according to the document. True worship, as found in the Ancient Faith of the Orthodox Church, is the foundation of the faith of Christ, not the Bible. And it is the bible that reveals this! You may want to ask yourself, "Why is the collection of twenty seven books, that we call the New Testament, called the New Testament?" It is because of their proximity to the Eucharist, that is, the New Testament! The Scriptures are guiding us into the heart of the Church. And what we discover when we arrive is the Eucharist, which is the actual communion of human beings with the undivided Holy Trinity; the Father, and the Son, and the Holy Spirit. Amen.